FLY CREEK - Margaret H. Schneider, our beloved mother, grandmother, sister, and aunt, passed away surrounded by her family February 4, 2016, at Bassett Medical Center in Cooperstown following a battle with cancer. She was 73. Born November 24, 1942, in Salem, Oregon, Maggie was the daughter of William and Eileen (White) Gentzkow. Maggie graduated from North Salem High School (OR) with honors and graduated from the University of Oregon in 1963 with a BA in History and Education. Maggie left Oregon in her early twenties to travel through Europe and North Africa. In Florence, Italy, she taught at the American International School, where she lived for five years. In 1969 Maggie moved to Cooperstown where she taught in the school district. She earned a Master of Arts in Museum Studies in 1982 from Cooperstown Graduate Program. While living in Cooperstown, she met her former husband Charles Schneider as he was founding the Glimmerglass Opera Company. She took on many supportive and creative roles in the company, while raising their children and restoring two historic homes together. Maggie's expertise and talents as a curator took her later in her life to serve as a museum curator at the Mission Mill Museum in Salem, Oregon, where she created a permanent exhibit on textiles entitled "The Finishing Room". She was also Director of Education at the Arizona Historical Society in Tucson and Phoenix, Arizona. 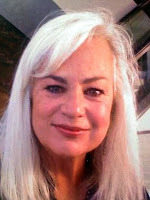 From 1988, Maggie taught middle school and high school History and English in the Salem-Keizer School District in Salem, Oregon. By the time of her retirement, she had taught for 30 years. She was a passionate teacher, and she took great pride in being an educator, truly feeling blessed to make a difference in so many young lives. At the age of 66 she fulfilled her lifelong promise to her former students that she would one day join the Peace Corps after retirement. She entered the Peace Corps and served as an educator in Macedonia from 2008 to 2009, creating reading clubs and working alongside the teachers to create a more progressive, project-based classroom. Since her death, countless former students, colleagues and friends from Macedonia have written to say what a difference she made in their lives. Four years ago, Maggie moved back to Central New York and settled in Fly Creek, where she felt most at home; to be near her many longtime friends and her children and grandchildren lived and to revel in the region's historic significance, which fueled her passion for historic preservation. Maggie was a remarkable and memorable woman with a great capacity for love, a curious mind, and an unfailing sense of adventure that never ceased. She would often turn off onto country roads just to explore where they went and see new landscapes, photographing along the way. She volunteered to restore stone walls in France. She designed and had built, from the ground up, a timber frame house on Orcas Island, Washington, while living in a 10 x 10 micro cabin. She was a true entrepreneur. Maggie was an ardent gardener and she created English Gardens in every home she had. Her garden in Fly Creek will live on as a memorial to her love of flowers. She loved human relationships and adored and cherished her friends from childhood as well as the new friendships and neighbors she met along the way. Her two new grandchildren brought her the most joy in life. As she fought the cancer, Maggie was blessed with one last beautiful summer and fall to dig her hands deep into the earth and nurture her magnificent garden as well as witness the birth of her newest grandchild. Maggie lived a full life, a woman of courage, dignity, and immense beauty which she carried with her until her last breath. Maggie is mourned and survived by her children and beloved grandchildren: daughter Megan Schneider-Ajakh & husband, Ahmad, and their children Arianne and Charles of Cooperstown, and son Dana Schneider of Webster. She is also survived by her three brothers, Bill Gentzkow, Gary Gentzkow and wife, Barbara, and Michael Gentzkow and wife, Kathy, and their families. A celebration of Maggie's life and scattering of her ashes will be scheduled for late spring in her garden; a ceremony on the Oregon coast will follow in the summer. In lieu of flowers, please make contributions in her name to the Lung Cancer Research Foundation, 155 East 55 Street, Suite 6H, New York, NY 10022, and Sierra Club, 85 Second Street, 2nd Floor, San Francisco, CA 94105. The family wishes to thank the doctors and nurses and Hospice at Bassett Medical Center for their kindnesses and superb care. The Connell, Dow & Deysenroth Funeral Home in Cooperstown is serving the family.